My Thoughts: As you can see from the blurb Ruined by Rumor is a marriage of convenience/forced marriage Regency historical romance, which is my favourite trope so I was excited to read it, and I’m happy to report that Ruined by Rumor is a delightful read. The more days pass since I finished it the more I appreciate its romantic charm and wittiness and wish to re-read Ruined by Rumor. 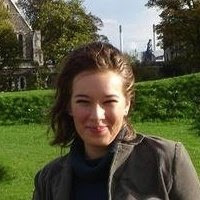 If people were drinks, then Roxana Langley could only be champagne—sweet, bubbly, silver-blonde. And, unfortunately, she had the same way of going to Alex’s head. Dear God, no wonder there were so many fallen women in the world when falling felt this good. I only had two minor complaints. One of them was the storyline involving Fanny, Roxana’s best friend and how she found love with Mr. Dean. I found it too convenient and improbable on how their story resolved on both the marriage and career front. The other is a personal preference of mine: I don’t like having the final big resolution played out in front of an audience. I find it remains more intimate and genuine if there are no big crowds who are cheering, applauding and intruding on their moment in any other way. I would have preferred if Roxana and Alex’s reconciliation didn’t take place in front of a public, as it didn’t sound either historically accurate and true to the time period or Alex’s character. Verdict: Ruined by Rumor was like a Shakespeare play: full of continuous misunderstandings as the hero and heroine had a propensity to misinterpret everything the other said or did. Despite the humour and wittiness Ruined by Rumor was an angsty Regency romance of the best kind: the type where the reader is constantly biting their nails and having trouble swallowing as they are too anxious to see how the hero and heroine will finally find their way to each other. 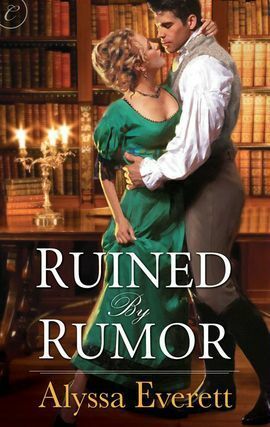 With great, in-depth characterisations, flowing and witty narrative, Ruined by Rumor is an angsty but sweet Regency romance that any Pride and Prejudice fan will adore!